Description: The Supa Rocket is a Single or Tandem Paddle or Windsurf Board which allows sharing sessions in a wide variety of conditions from very light winds, to downwind or windsurfing when waves rise a little more. A true touring board, the SUPA Rocket Air is extremely stable, while retaining excellent glide. The outline and rocker line (scoop) are designed to give tremendous confidence and stability for Single or Tandem paddling, delivering great performance in a wide range of conditions from mirror smooth, to open sea, and with a length of 16' they are not limited by the under 400m EU regulations for coastal use. 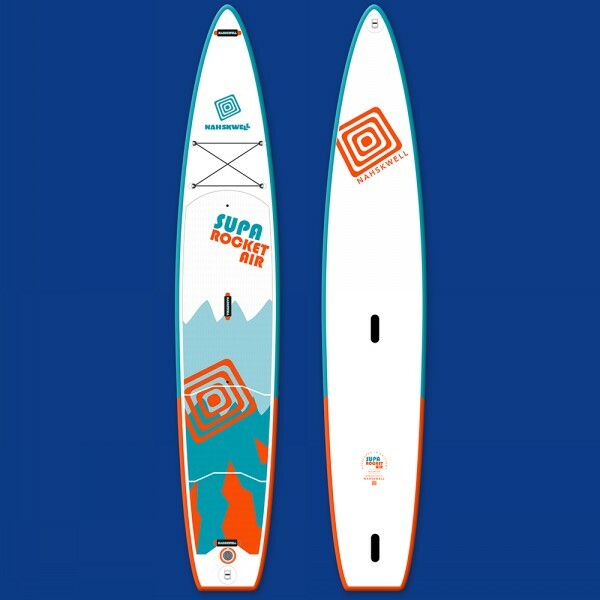 The Fusion construction technology ensures they are Light, Durable and Remarkably Responsive, and each SUPA Rocket Air has the added bonus of having 2 mast foot inserts to take a pair of Windsurfing rigs (suggested max sail size for WindSUP is 6.0m, while smaller generally make Tandem sailing more fun). 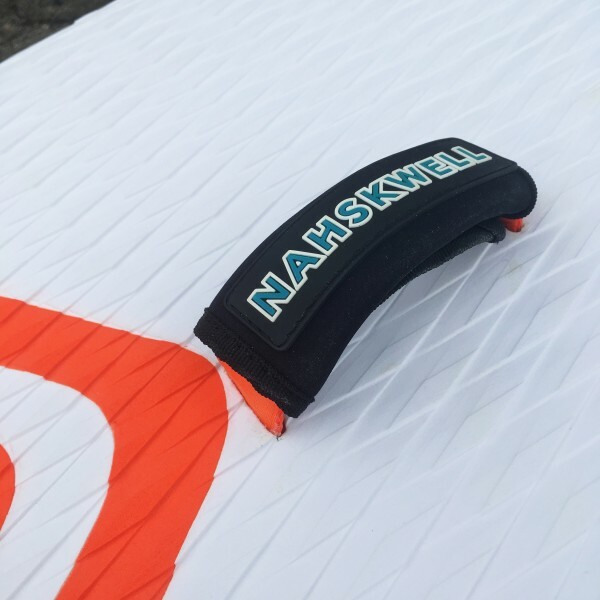 In addition they have an extra centre US fin box with removable fin for improved lightwind sailing performance, meaning you can really enjoy the pleasures of Single or Tandem WindSUP in suitable conditions on these 'SUPA' Versatile Boards.